Palaniswamy “Raj” Rajan is currently the founder and Managing Partner of CTW Venture Partners, an early stage venture capital fund which invests in and assists seed/early-stage entrepreneurs across all industries primarily in Atlanta and the South Eastern United States who are engaged in disruptive innovations and technologies. CTW focuses solely on companies which are started by expert technical founders with strong domain expertise. CTW partners with technical entrepreneurs and companies in markets with large opportunities and no identifiable competitors. CTW typically supplies the first capital, often at the concept phase. CTW invests in pre-formation companies to Series A rounds. CTW works as active partners with our entrepreneurs, helping with all aspects of strategy, market definition and execution. He is also the co-founder, Chairman and CEO of Virima Technologies, Inc, a leading GRC, Data Center & IT Operations software developer. He brings more than 21 years’ experience in the technology industry and combines a deep understanding of current technologies with the ability to articulate the application of these technologies in various business contexts and models. A highly versatile and proven entrepreneur, he has co-founded several ventures including, eLaunchpad, LLC, incubator and early stage venture fund focusing on Internet infrastructure and network security technologies; Vigilar, Inc, a leading network security technology integration firm; Avatar Capital, an angel fund which has returned nearly 7x to its investors; Emerald Systems, a boutique technology consulting firm. During his tenure at Vigilar, he conceived the company’s business plan and methodology, raised venture capital funding, recruited a talented management team and grew annual revenues for $0 in 2000 to $32M in 2005 in probably the most difficult technology industry climate. Another previous success, VerticalOne, a financial aggregator; was sold to S1 Corporation in 1999 in a deal valued at $166 million. Mr. Rajan is an active investor and has invested in over 34 companies since 1998. A leader in the business community is also involved in several professional and community related organization. Mr. Rajan was instrumental in founding and establishing the Atlanta CEO Council, a non-profit networking group of more than 1000 CEOs, CxOs, and investors in the Southeast. 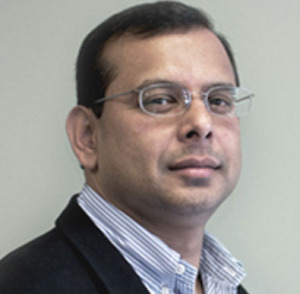 Mr. Rajan served as the Chairman of the Board of Directors of the Atlanta CEO council from 1999 through 2011 and continues to serve as Board Director. During his tenure in 2002, Mr. Rajan envisioned and launched the Atlanta CEO Council Venture Forum in 2002 which has now grown to become VentureAtlanta.com, the largest venture forum in Georgia and through which startups have raised over $1 billion dollars in investments. Mr. Rajan also co-founded and serves on the Board of Directors of the Atlanta Chapter of The Indus Entrepreneurs (TIE), a global mentoring organization for entrepreneurs. Mr. Rajan also served as TiE Atlanta President in 2012-2013. Mr. Rajan served on the Board of Councilors for The Carter Center (President Jimmy Carter’s non-profit initiative), a leadership advisory group that serves to promote understanding of and support for The Carter Center and its activities among private-sector opinion leaders in Georgia. Mr. Rajan also serves on the Emory University Board of Visitors which assists the University in discovering and promoting ways for Emory to integrate its intellectual assets with community aspirations. Mr. Rajan holds a Bachelor’s degree in Computer Engineering and a Master’s degree in Computer Science, both from the Florida Institute of Technology.